What are all the different alerts that can be received? 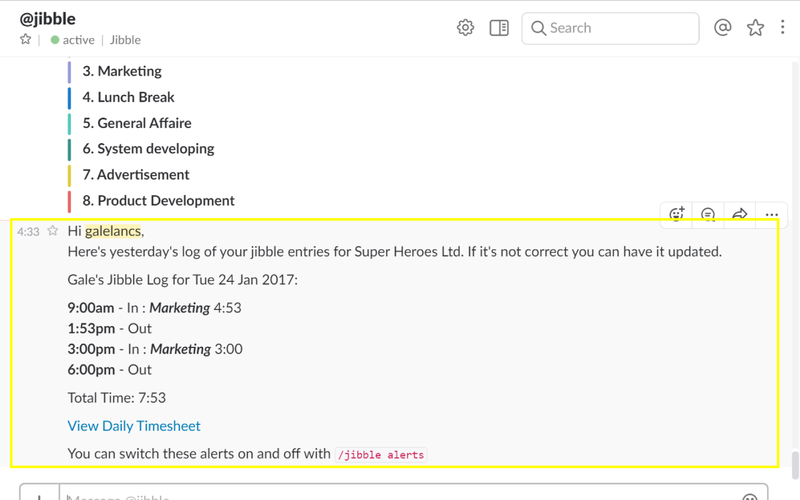 There a 2 different notification types available: updates on timesheets & reports or notifications for Jibble In/Out behaviour. 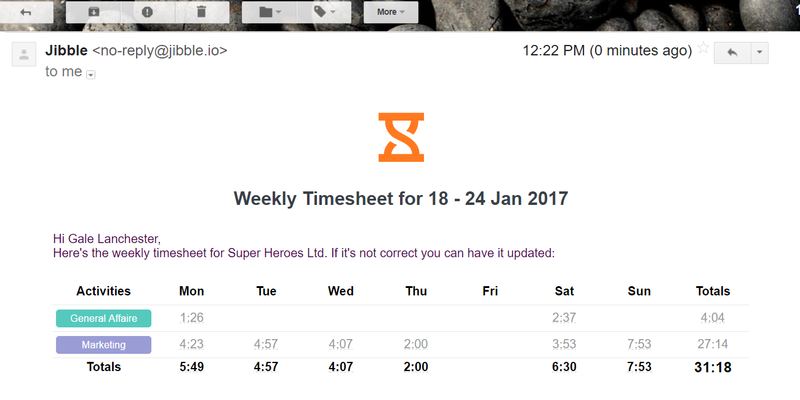 Team admins/owners can receive updates on the team timesheets while normal members can only receive updates on their personal times. 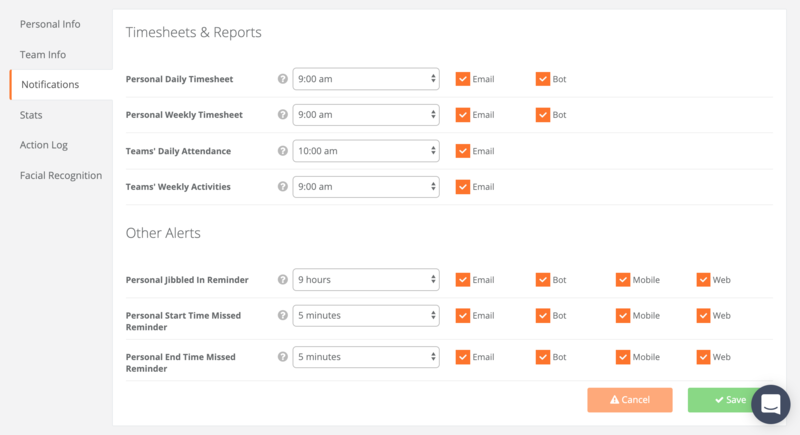 Team members can receive personal updates on their times while admins/owners can also receive more detailed reports about their team. 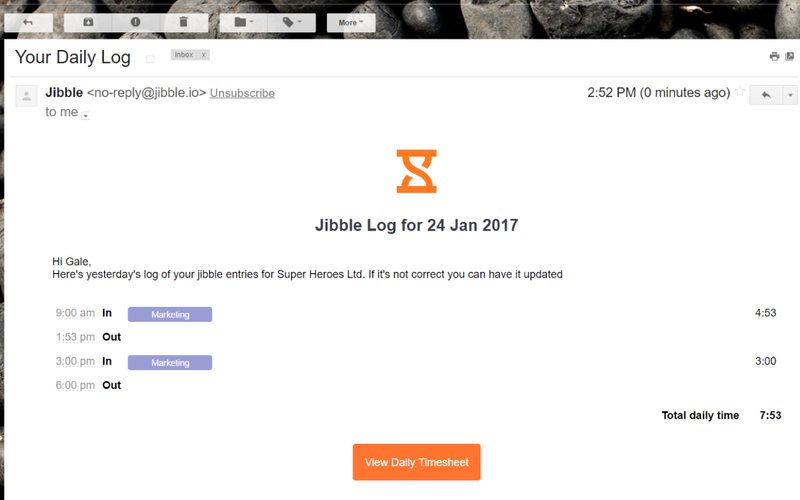 Subscribing to this alert will either send an email or slack message (depending on your jibble in method) displaying a list of the individual time entries/activities from the previous day. Same view as the Daily Timesheet. 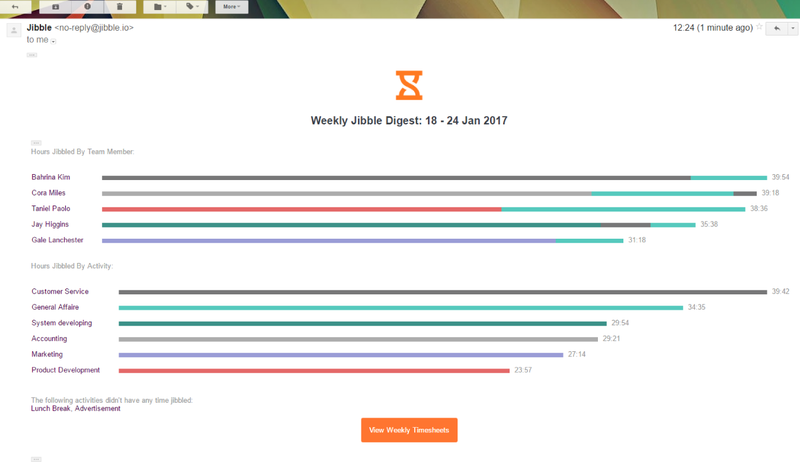 The Personal Weekly Timesheet shows the total Jibbled activity from the previous week. The time it is sent can be configured, however the day is set to the start of the week which is usually on Monday, although this can be changed for each team in Team settings. 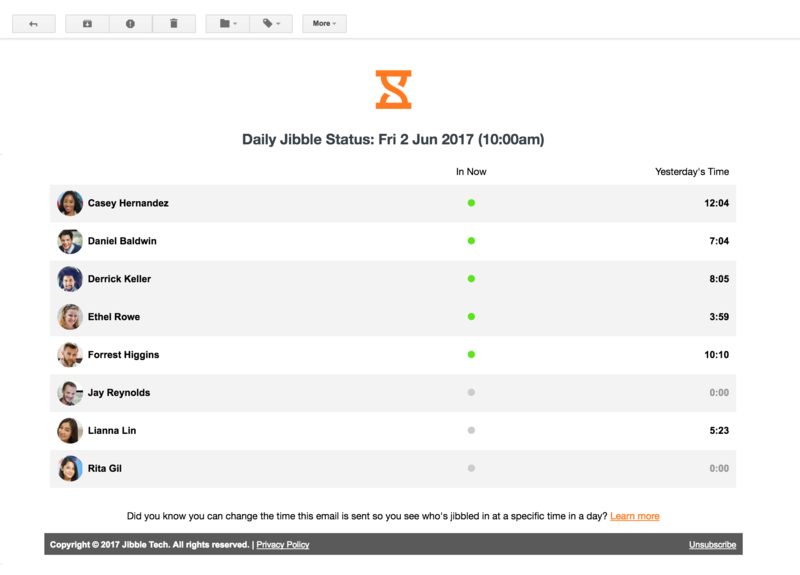 Subscribe to this alert to receive a snapshot of who is jibbled in at a specific time, and get a sense of how long your team worked the previous day or who forgot to jibble out. This alert provides a list of all team members and how many hours they spent working the previous week and on what (i.e. if Activity Tracking or Client Billing power-ups are enabled). Aside to the timesheet & report updates, it's possible to get notifications based on your Jibbled In/Out behaviour too. You can use this reminder to notify yourself that you have been jibbled in for a specific amount of time. Often used as a reminder to switch tasks or jibble out. This reminder is only available when you enable the work schedules power-up. Based on the start time of your work schedule, you can receive a reminder that you have not jibbled in yet after the configured grace period. Similar to the start time reminder, the only difference is that this notification is designed to remind to jibble out at the end of your day.